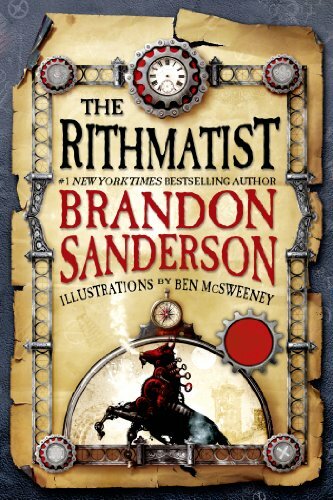 Ever since a friend recommended Mistborn three years ago, I have been in love with Brandon Sanderson's work. Sanderson's shtick is coming up with really interesting systems of "magic", that are probably really just a kind of technology in a different reality. Unlike ritual magic, which is what you should actually worry about your kids getting into, Sanderson's systems mostly involve the manipulation of physical things in order to unlock a hidden source of power. For Rithmatists, their power lies in chalk drawings. I didn't get the joke until I was about 2/3rds of the way through the book, but Rithmatics is a pun on the 3 Rs. Rithmatists are a kind of very, very applied mathematician[geometrician? ], with the most powerful being the ones who can draw as close to geometrical perfection as possible. For our protagonist, that should have worked out well, since he can draw better than anyone, but he was not gifted with the ability to make chalk drawings come to life, so he spends his time dreaming of a different life, and scheming to learn more about the secretive Rithmatists at his school. As is typical for Sanderson, you get the backstory in dribs and drabs throughout, with lots of tantalizing hints that will not really get fleshed out until later volumes are written. This world is an alternative Earth, with a United States composed of 50 islands instead of 50 states, and a fun spring-based technology. Rithmatists are an elite within the United Islands, required to spend 10 years fighting the wild chalklings in Nebrask in recompense for their education, and then pensioned for life. However, the threat the chalkings pose has become remote to most, so the privileges and secrecy of the Rithmatists rankle ordinary citizens. I look forward to how this plays out. This is a boarding-school story, and written for young adults in the best juvenile tradition. Thus we have a young man with great potential who is a bit lost in life, a romantic interest, and an adventure story. Fun to read, and highly recommended.